Nothing beats a Pinoy dining table. Fact: Filipinos are known to be avid foodies. Family gatherings and parties are not complete without the typical lutong-bahay fares, from lumpia and pancit to the pampabata favorites such as liempo and lechon. 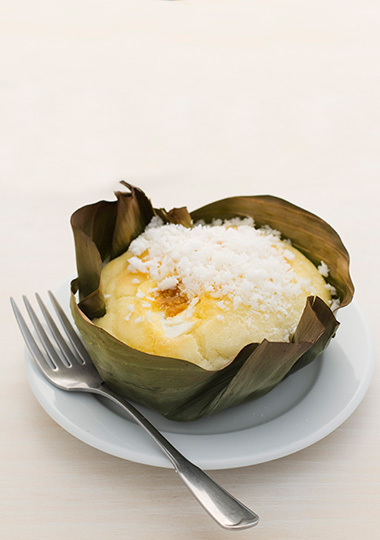 "At home, we make an excellent rice bibingka or biko—made with organic, sticky rice, homemade coconut cream, and coconut sugar. It's my favorite sweet cheat and always a hit with guests when they come over." "I have this strong belief that I've been a longganisa hunter during my past life. From Kassel to Tarbes to Ormoc, my mind palace for longganisa is rich." "My favorite lutong bahay meal is tortang talong. I'd back that up with monggo, adobong puti, paksiw na tiyan ng bangus, and ginisang ampalaya." "JT's Manukan or Balamban liempo ang paborito ko. At dahil Bisaya ako, mahilig ako sa kinilaw na isda." "I love kilawin and in the Philippines each region has a different version of it. But nothing comes close to my kinilaw of northern Mindanao. The tabon-tabon makes all the difference." "Kung combo ulam, favorite ko yung paksiw na pata at ginisang monggo, any prito and garlic kangkong and inihaw na liempo and nilagang vegetables na may bagoong. Sarap!" 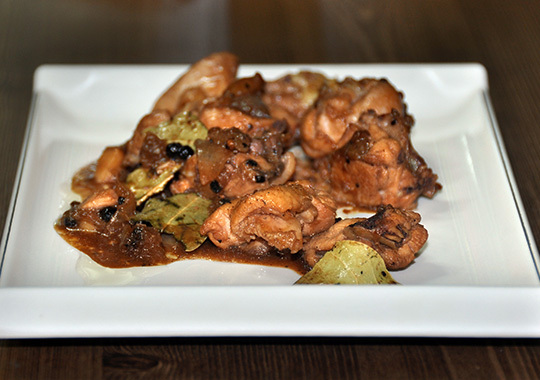 "Besides the usual flagship dishes of our cuisine, I pick the lowly monggo guisado. 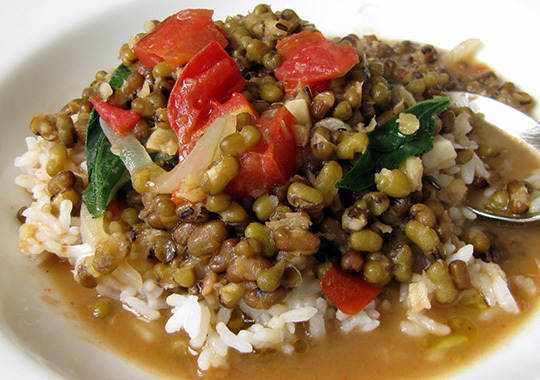 It’s a simple dish with monggo beans as the star of the show. But cook it with ampalaya or dried shrimp or pork cubes – these different pairings change the whole experience. It’s simple to cook, very cheap to make, loaded with essential nutrients." "I like beef caldereta because it reminds me of when I was younger in Australia and we’d go to the Filipino community parties and that would be one of the dishes always there. Someone would always make it." 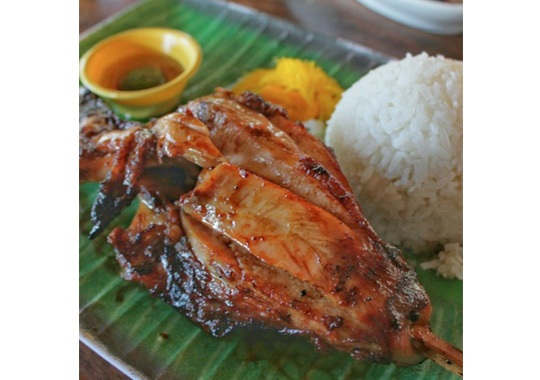 "I would have to say that my favorite is Ilonggo cuisine because I happen to be Ilonggo. 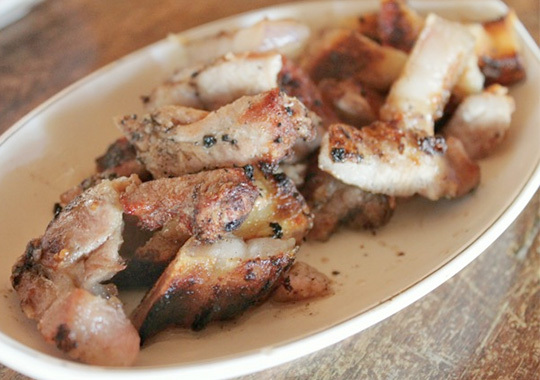 I particularly love Bacolod chicken inasal, kansi, Iloilo la paz batchoy, napoleones, and piaya." "My favorite Filipino food is kare-kare because it’s hearty, it’s got meat, it’s got vegetables, it’s got sauce, and you have to have bagoong." "I'm a huge adobo fan! My favorites are the drier versions that have a little oil and a lot of flavor. When I cook it, I use lots of garlic and cook the meat two-ways to give it plenty of texture while keeping it tender." "My favorite Filipino food is adobo! It can be cooked in many different ways and is even better the morning after." 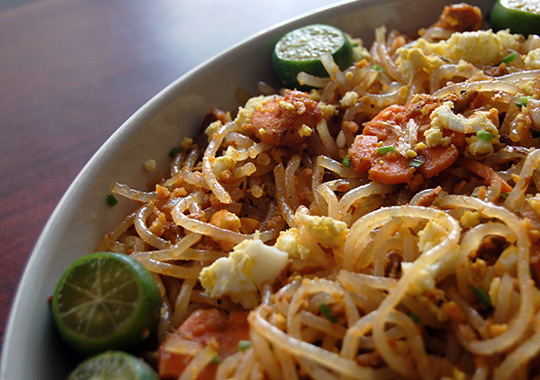 "Pampanga's palabok is a comfort food for me. The creamy sauce and the salty chicharon are my favorite parts. Whenever I can, I always have a plate or two!" "When I was growing up, my lola used to make a great pancit palabok and so that's one of the top dishes that come to mind. Every time I have it I remember her and her great dishes. She also used to make a really good chicken barbeque." "Adobong pusit! I only recently tried it at hindi lang siya malinamnam, masustansiya pa. Meron siyang Omega 3 at low fat. Importante 'yun dahil ang mantra ko ay 'health is wealth.'" "My favorite local food is sinigang, because of its diverse souring agent, proteins and vegetables. 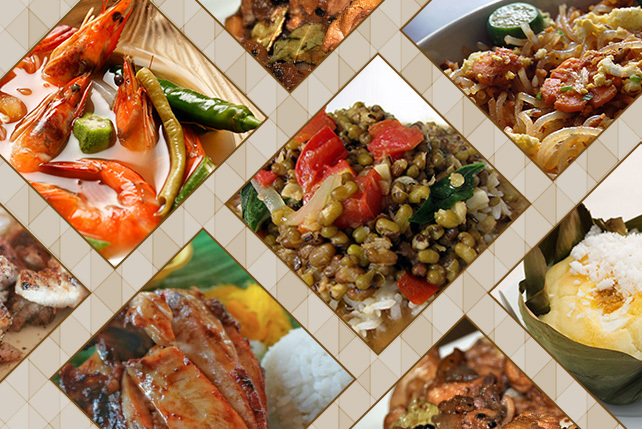 My favorite cuisine is Tagalog cuisine, because it has the best of all the regional cuisines have to offer." 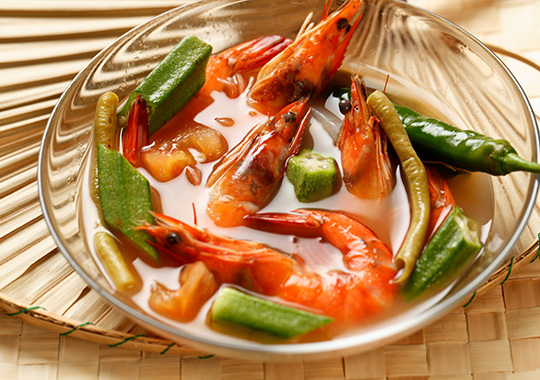 "I love shrimp sinigang, especially my lola's recipe. I also like laing—my friend's cook is from Bicol so every time I'm over I request for it." There's so much to enjoy on a Filipino dining table. It gets even better when the food served are home-grown, lovingly cultivated by the local farmers. Mahalin Pagkaing Atin is a movement that promotes local food, valorizes our local farmers and encourages entrepreneurs to support and patronize local produce. The movement is also directed towards providing sustainable livelihood businesses to areas with high incidence of poverty, disasters, and conflict. It also aims to tell the story of the farmers, whose produce reflects the various geographical conditions in the country, as well as the differences in local farming practices and culture. Discover more about Mahalin Pagkaing Atin by liking their Facebook Page. Don't forget to follow their Instagram account @mahalinpagkaingatin and use the hashtag #MahalinPagkaingAtin in all your local food photos for a chance to be featured on their page.